Manny Pacquiao is getting involved in the blockchain space after GCOX, a Singaporean exchange for celebrities, announced he is investing in the company and will be launching his own coin in the near future. GCOX offers a “celebrity token” which can be used by celebrities to pay for things like entrepreneurship ventures, charity events and connecting with fans. Also, it could become something of a vanity metric as the price of a coin would presumably go up according to a celebrity’s popularity. GCOX is still yet to go-to-market but the startup is planning for an ICO in Q3 2018, which will mark the official launch of the platform. The tokens are built on the Acclaim blockchain service. “We aim to revolutionise interaction between celebrities and fans by bringing about closer engagement via new and innovative ways. GCOX allows the public to have unparalleled access to celebrities through their core business platforms: Celeb-Listing, Celeb-Connect, Celebreneur and Celeb-Charity,” the company advertises on its website. Pacquiao is an example of what GCOX hopes becomes more common. He is planning to use become a celebrity ambassador for GCOX and will release his own virtual coin called the PAC Coin, according to Entrepreneurship Philippines. The coins will provide access to Pacquiao-exclusive content on the GCOX platform. The company plans to pursue similar strategies of the PAC Coin, providing a platform for celebrities to essentially take a personalised token to an ICO. While it is probably due to the celebrity nature of its service, but GCOX has managed to onboard a group of private investors who are quite famous for ventures outside of tech. They include the English footballs star, Michael Owen, Heleconia Capital Chairman Lim How Teck and Tommie Goh, who founded JIT Holdings. 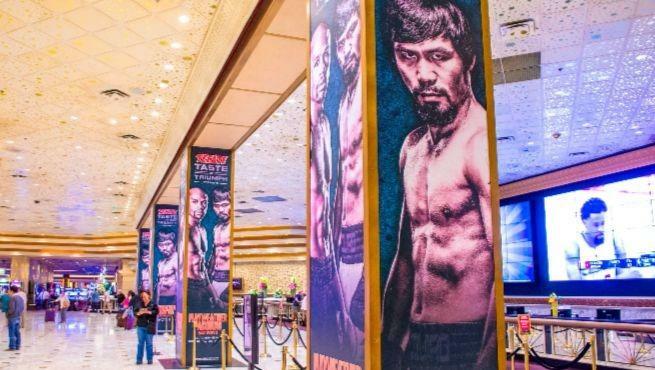 The post From Welterweight champion to Congressman, now Manny Pacquiao is entering the blockchain ring appeared first on e27.